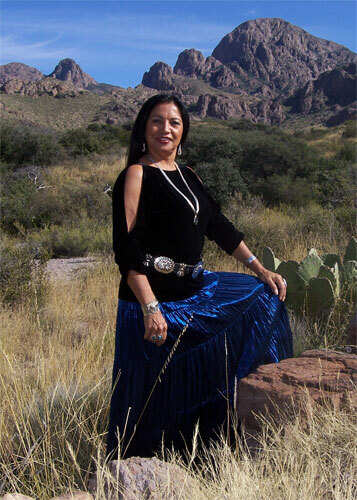 Yolanda Martinez is Apache/Comanche/Hispanic born in S New Mexico. She is an Artist, Singer, Composer, and Master Drum Maker. She was one of 11 children and was raised in New Mexico till the age of 15 when her family moved to California, San Joaquin Valley in 1965. In 1986 Spirit sent a message for her to make a Drums. She made her first drum in 1987. This turned out to be a base drum made out of a redwood planter. She thought she had completed her task, and was ready to move on, WRONG! Great Spirit still kept after her to “MAKE DRUMS”! After a lot of frustration, prayers, tears, and a near death experience she decided to surrender and let Spirit guide her, this is when she started creating drums that wake up the soul, balance and connect you with Earth Mothers rhythms in nature, her heartbeat, and song. In summer of 1975 Yolanda was drawn to Alaska where she spent 8 years on the Island of Kodiak. She was one of the first Commercial Fishing Women as back then women were not allowed on fishing boats. She fished commercially and worked as a cook and deck hand for 2 years before starting her own business as a Professional Picture Framer and Gallery Owner. In 1980 she decided to move her and her daughter back to California where her family still lives. After her return Yolanda started the Central Valley Moon Lodges in Modesto, CA. in 1992. She has been very active in teaching and organizing the spiritual way of the woman and the balance between herself, her family and Mother Earth. Using her Drums and her Songs Yolanda works through her music. She was inspired to do her first recording “RESOUNDING SPIRITUALITY,” Drumming & Chants in 1993 and on to record, “DREAMING WOMAN,” “PRAIRIE MOTHER, “LONELY WARRIOR,” 2000 NAMMY Nominated, “DESERT SONG,” 2003 NAMMY Nominated, “NATIVE HEARTBEAT,” 2004 NAMMY WINNER “BEST FEMALE ARTIST,” AMERICA, 2007 NAMMY Nominated, AMOR DEVERAS, 2010 NAMMY Nominated. Yolanda also received a 2008 NATIVE-E AWARD for “BEST REMAKE” of “SUMMER TIME” for her AMERICA CD. In 1993 she moved to Asheville, NC where she spent 6 years in the beautiful forest of the Blue Ridge Mountains. This beautiful, magical land is what inspired her to create and write her music. Yolanda currently resides in Las Cruces, NM. Where she came back home to her beautiful home state of New Mexico with the Organ Mts. in her back yard, beautiful sunsets, and glorious nights. She is continuing her work and is conducting Drum Making Workshops, Drumming Circles, Women’s Circles and Concerts nationally and internationally. We carry wonderful authentic Native American Crafts and Gifts. With all her traveling performing Yolanda has met some wonderful gifted crafters that she honors by carrying their beautiful items for you to choose from. We make sure to mark the items that are NOT Native American Made with ‘NN’ (Non Native) so you always know what you are purchasing. We hope you enjoy our site and that we have succeeded in making it a journey to remember and one that you will recommend to your friends and keep coming back to.